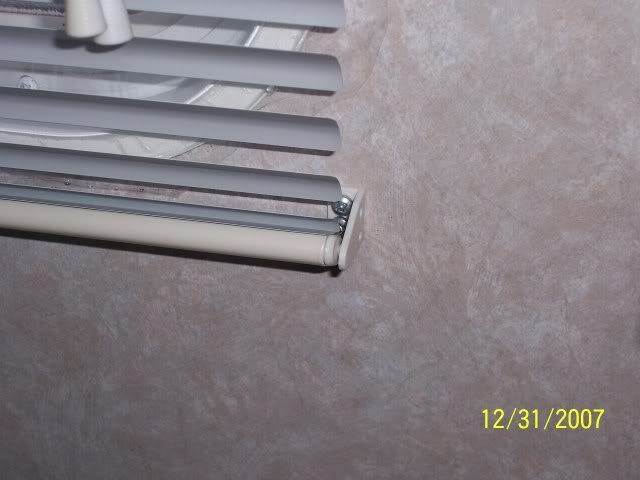 Mini Blinds Clips - Errr need a better way. Do you have one? Before I reinvent the wheel, thought I would ask if anyone has figured out a better way to make this mini blind clip work right. We have a healthy supply of spares as they snap often. And the spares are a clear different type of plastic then the original Sunline ones and they snap even faster… . Plus they are one real little bugger to even move over to get the blind out. Now that we have the bigger camper, we have more windows and more clips. 28 clips in all on the 14 windows that have blinds. The odds are not in our favor for no breaks. I have some ways of making up a new type clip, but wanted to ask here first as I’m sure someone has run into this same problem. Any one figure out an easier way to get the blind off the little clip pin easily? And not break the clip in the process? Here is the clip I’m referring too. I dont have any sugestions because we have the day/night shades, but if we had those and had a problem of them sanpping, I'd go to a local Tool & Die supplier and have them make me those same clips out of aluminum. I've seen those clips made out of chrome plated spring steel. In fact, I think I have a couple in the basement somewhere. You might check with a high-end supplier of those types of shades and see if they offer them in the spring steel. They are the same as the one you'd buy for your home. FWIW, we've got them in our T-2453 and have yet to break one. That leads me to conclude that the older shades used a more flexible and durable plastic than the newer ones. Hmmm, a little piece of countertop edging or the like (L-shaped) and a tiny wooden dowel (or maybe a tack nail) might do the trick without the look of shiny metal pieces sticking out of the walls...Drill the hole for the nail or dowel all the way through (and stain to match) so you can just slide the pin to release or secure the blinds. I'll have to remember this- we've got those clips too. Drill the hole for the nail or dowel all the way through (and stain to match) so you can just slide the pin to release or secure the blinds. The sliding pin, yes I can build on that . Thanks. If I dream up something simple, I’ll post back with pic’s. The question now is how to not have the pin fall out. A drilled hole in a piece of pine wood maybe will create enough drag on the pin. You only need one end to slide. The other end and be fixed. To everyone else. Keep the ideas a coming. My T-2051 has the older spring-loaded, roll up blinds. The mounting brackets are L-shaped with a hole to accept the pins that are built into the wooden roller. You might use those brackets with the pins as Mooney suggested. We have never had a problem with these clips. We do put the blinds away when we travel. I thought thats what everyone does??? We have not had the problem in the 2499 BUT we did in the 1950 - the chair would always hit the window by the door and snap that danged little blind holder. Ted - what do you mean when you say we put the blinds away? When we are getting ready to travel we put the blinds in the all up position. When we get where we are going for the day we let them down it's all part of the plan as I understood when we bought it. Do you mean you travel with the blinds down??? Al, H’mm yes I know of them. Forgot about them. They are a strong bracket and cheap. Just have to work the pin into it. Thanks. We have never had a problem with these clips. We do put the blinds away when we travel. I thought that’s what everyone does??? Ted, we all seem to camp different and maybe that is why “we” have so much issue. DW has to have the blinds down and closed to travel with. I have learned when not to push it. I do agree with her on the down part. Every now and then the blind cord gets uncaught and the blind will drop full down or one side gets hung up and the other side falls down leaving the blind on a 45 degree angle. Then it flops in the breeze and maybe bends the blinds. As far as them having to be closed, well again I know when not to push my luck. I could care less turned open or closed towing down the road. So the clips get a work out. We break most trying to pull the pin out. 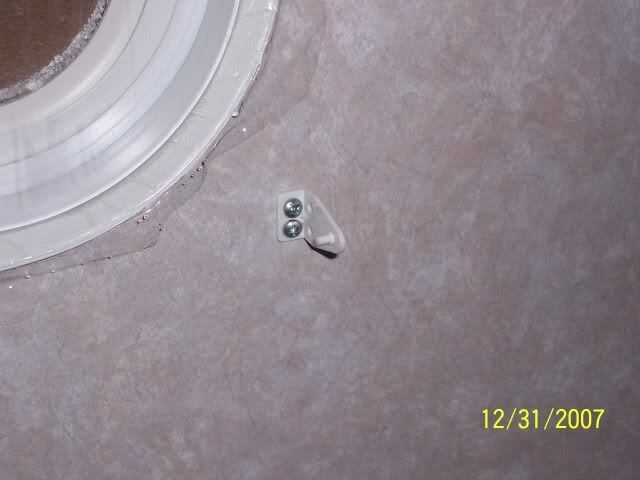 It gets stuck in the blind and then you pull so hard to break it loose, the whole thing breaks off….Errr On the new camper some of the holes are so tight they are almost a press fit. I’m going to drill them out to get ride of the tight fit at least. Kathy, Thanks. I was begining to think it was only us wiht the issue. On the 2499, well give yourself some more time…. Unless they changed the clip or the blind hole. Keep the good thoughts a coming. I can build on them. Ted for us, yes blinds down and locked. Curious now what Kathy does. John I agree with you about looking through the blinds not as nice as clear windows. DW has a vision problem and lights bother her Our home has shears on the windows and or blinds. I just move them if I want to see out clearly. In the TT we put the blinds down when we camp and if the light from outside is too bright we close the blinds if not they are open. we seldom use the clips. Though we have never met, from the work we here at this site see you do we all know you will come up with a clip that should sell well or at the very least end your wonder as to how can I cure this problem. Stay warm up north. It’s a whopping zero “0” here tonight. Buur. Spring is not here fast enough.